Phi Phi Islands Sunset Tour by Speedboat from Phuket. 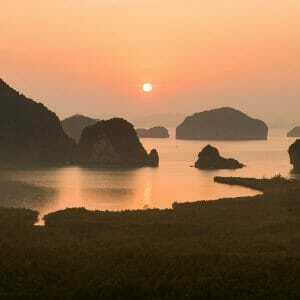 Phuket to Phi Phi Sunset Tour – Visit Maiton island, Koh Phi Phi, Khai Nai island. 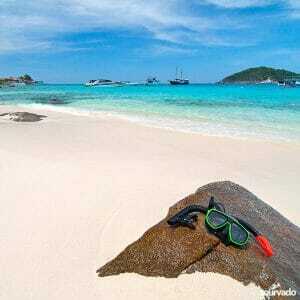 Visit Maiton island, Koh Phi Phi, Khai Nai island. Free Pick-Up Service, transfer Free from / to Hotel is included and ONLY for these Areas: Patong, Karon, Kata, Kathu, Kamala, Kalim, Bang Tao, Surin, Laguna, Rawai, Nai Harn, Phuket Town. Maya Bay will be closed from 1st of June 2018 until further notice..
9.00 AM to 9.40 AM Enjoy air conditioned minivan transportation for the pick up from your hotel to the pier. At the Pier let’s have a briefing on the tour and let’s start this full day trip sunset tour to Maiton island, Koh Phi Phi, Khai Nai island. 10.00 AM to 18.30 AM Briefing and free soft drinks, let’s start and go to Maiton island about 10.00 AM. Arriving at Maiton island we can explore and enjoy snorkeling, being lucky we can enjoy watching dolphins. Next we will be moving to reach Phi Phi islands, we will have a great buffet lunch on beach restaurant on Phi Phi Don. 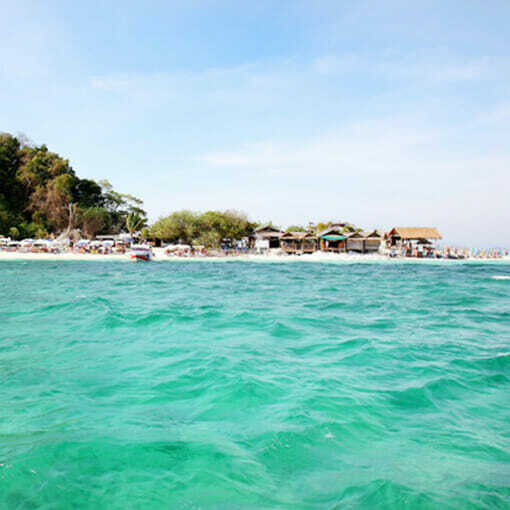 Later on we can start sight seeing session to explore Monkey beach, endure snorkeling in the Pileh Lagoon and swimming with colorful tropical fishes, to sight see and be impressed by the very beautiful cliffs of the Bay. 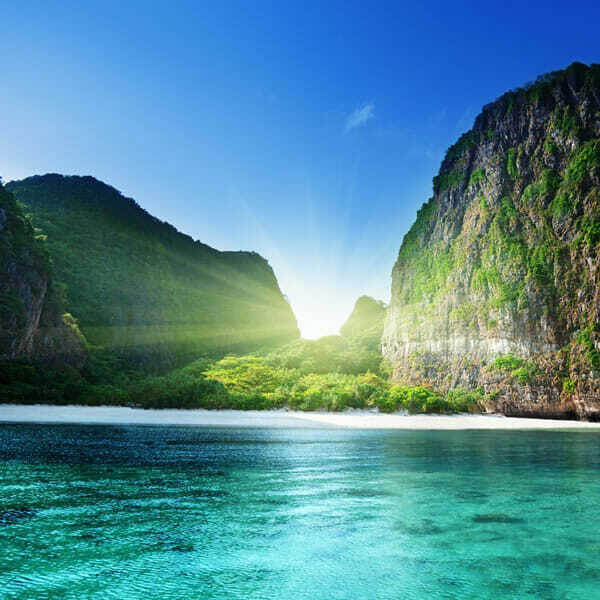 We do also visit Maya Bay (where the movie ”the beach”was filmed) (when Maya Bay close from 1st of June until further notice, we than sight see from the boat). Next let’s depart to Khai Nai island, here we can enjoy snorkeling and relax time on the beach, swimming and admiring spectacular sunset. An incredible moment of the Phi Phi tour is always when we enter the splendid Pileh Lagoon for snorkeling and swimming time, here the backgrounds are amazing with very unique, beautiful and impressive cliffs. 18.30 PM to 19.30 PM Depart from Khai Nok to Phuket and from pier to organize your free transfer back to Your Phuket hotel. Maya Bay will be closed from 1st of June 2018 to 30th September 2018. Phi Phi Islands Sunset Tour by Speedboat from Phuket is an astonishing full day excursion by speedboat, from Phuket to Phi Phi through Maiton island and Khai Nai island, you may reach most of best sceneries and places for snorkeling and swimming. This speedboat tours would be the best in terms of attaining shallow waters and docking right on the shores to allow you to fully enjoy each and every area without hassle. Enjoy a number of options with snorkeling gear at your disposal at no cost. 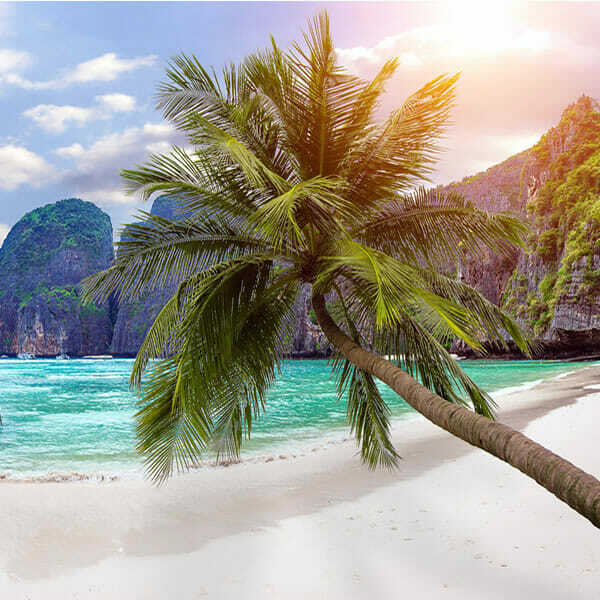 Phi Phi Islands Tour by Speedboat out of Phuket endure an extremely stupefying holiday experience, be amazed with stunning views of Maya Bay and all excellent surroundings of Phi Phi Leh and Phi Phi Don. Love with us sumptuous lunch in beach restaurant since you’ll be spending the remainder of the time with this particular tour swimming in the turquoise waters, relaxing on the white sandy shore or in stupendous waters. 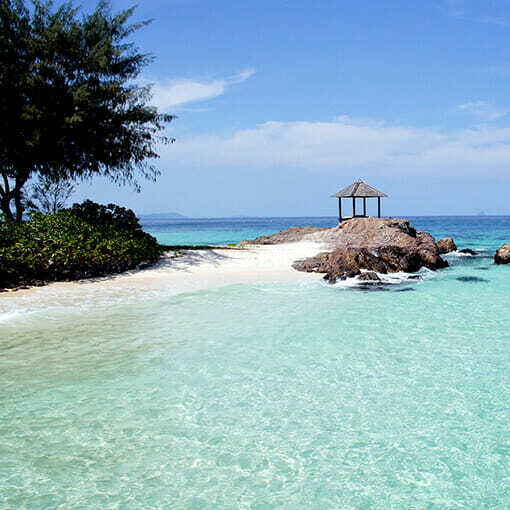 This trip by speedboat will only takes approximately 1 hour to achieve these islands that are the real popular tour destinations in Andaman sea, as the islands are an ideal place to live natural water activities, such as swimming and snorkeling, being surrounded constantly by magnificent backgrounds, shooting memorable photos of each second, enjoy spectacular sunset from Khai Nai island. Transfer Free from / to Hotel is included and ONLY for these Areas: Patong, Karon, Kata, Kathu, Kamala, Kalim, Bang Tao, Surin, Laguna, Rawai, Nai Harn, Phuket Town. Phi Phi Islands Sunset Tour by Speedboat program may change depending on tide and weather conditions, the itinerary and timing above are approximate and may be modified without notice to fit the tide and local weather conditions. Only Free transfers included from your Hotel from these Areas: Patong, Karon, Kata, Kathu, Kamala, Kalim, Bang Tao, Surin, Laguna, Rawai, Nai Harn, Phuket Town.